Jordan Stead/Amazon‘It’s just so overwhelmingly insane,’ said Jamie Siminoff, pictured. Jamie Siminoff appeared on “Shark Tank” in 2013, pitching his startup, Doorbot. In the months leading up to the taping, Siminoff practiced constantly, using the mock set he’d built in his backyard and fielding potential questions from friends. Ultimately, Siminoff rejected an offer from Kevin O’Leary and left without making a deal. Doorbot subsequently became Ring and, in 2018, the company was acquired by Amazon for $US1 billion. Siminoff returned to the tank as a guest Shark in the season 10 premiere and could barely believe it was real. He remembered how nervous he’d felt the first time he appeared on the show. Jamie Siminoff knew that a spot on “Shark Tank” could have the same impact as a Super Bowl commercial. So in the weeks leading up to his appearance on the show, in 2013, he practiced relentlessly. He built a set in his backyard and had friends come over to watch him present his pitch and ask potential questions. 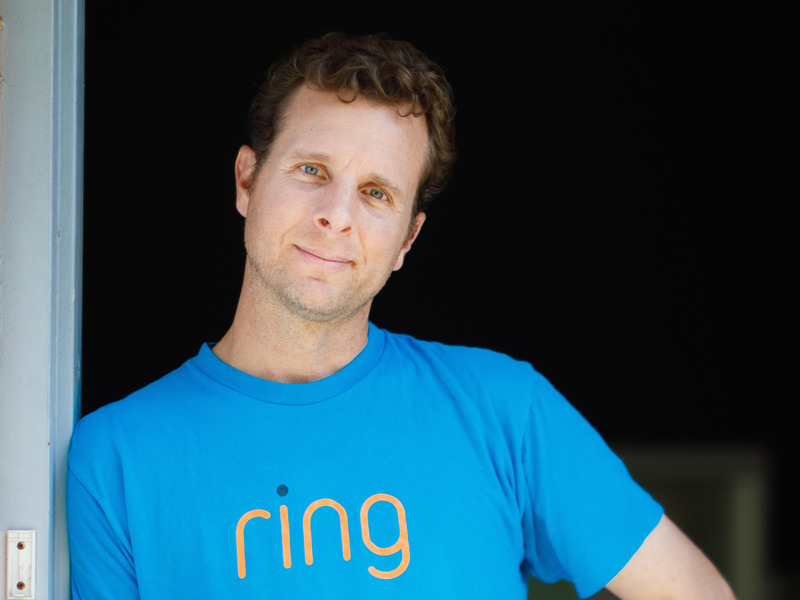 Siminoff is the CEO of Ring; at the time of his appearance on “Shark Tank,” the company was called Doorbot. Ultimately, he was turned down by every Shark but Kevin O’Leary, who offered him $US700,000 with royalties. Siminoff rejected the deal. Months passed and Siminoff still had no idea if the episode would air. (Not every “Shark Tank” episode filmed makes it to TV.) The business was strapped for cash, Siminoff was going broke, and he started to have some regrets about not taking the deal with O’Leary. “I would have gone back and taken the devil’s money at that point,” he said. In November, the episode aired and Siminoff said Ring saw an immediate uptick in interest, with $US100,000 in sales that night alone. Fast forward a few years, and Ring had received investments from Virgin Group founder Richard Branson and Goldman Sachs. Then, in 2018, Ring was acquired by Amazon for $US1 billion. On the first episode of the show’s tenth season, Siminoff returned to the tank as a guest Shark. “If you had a heart rate sensor on me,” Siminoff told Business Insider, “I would have looked like I was about to explode.” He remembered vividly how anxious he’d been the first time he walked through those double doors. As one entrepreneur after another took the stage to pitch their business, Siminoff couldn’t help but see reflections of his younger self. He ended up investing $US100,000 in Bear Minimum, which makes camping cookware, at least partly because he could tell that “these people are putting their lives into this thing and that’s the type of entrepreneur that will be successful.” One of the founders talked about working as a Lyft driver at night to help support his business.